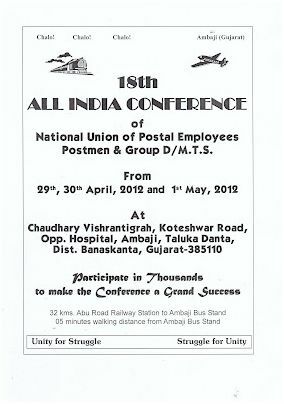 2012-04-22 ~ National Association of Postal Employees, Tirunelveli Division. 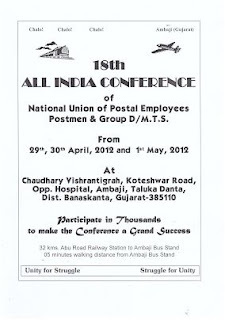 18th ALL INDIA CONFERENCE OF POSTMEN &MTS . இன்று 27.04.2012 காலை 11 மணிக்கு நமது கோட்ட கண்காணிப்பாளருடனான மாதாந்திர பேட்டி. Our FNPO Secretary General Shri.Thiyagarajan met Member (P), Member (O) and DDG(R&P) and other officers. Welfare Board Meeting will be held on 16.05.2012 at Dak Bhawan, New Delhi . Awaiting conformation from Honble MOC&IT . All Secretary Generals will be invited for the meeting as usual. Sports Board meeting will be held at Hyderabad on 05.06.2012. All Secretary Generals have been invited. Heads Of Circles (HOC) conference will be held at Delhi from 07.05.2012 to 09.05.2012. HSG-I Recruitment Rules: UPSC has called our officers to discuss the Revised Recruitment Rules. Revised Postman & MTS Recruitment rules will be issued shortly. Revision of OTA Rates: File has been returned by DOPT with negative reply. However Department will take up the issue afresh with additional points justifying the revision . 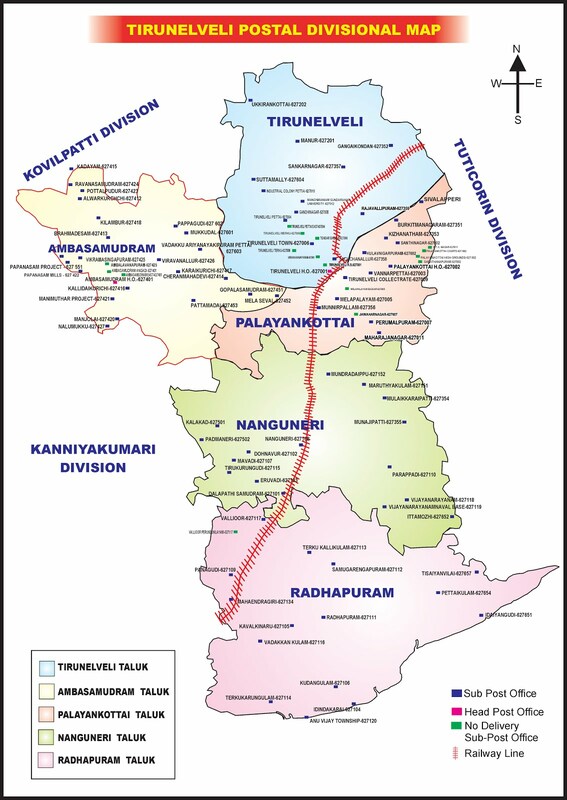 One official who is working at Pudukottai Division seeking mutual transfer to Tirunelveli/Kovilpatti Division. Any willing officials may please contact P3 Divisional Secretary Shri.S.A.Rama Subramanian, over mobile (94439 00200). 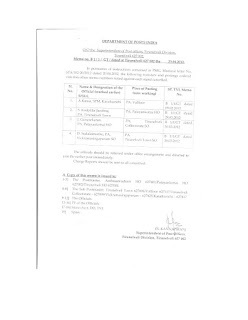 கடந்த சில தினங்களுக்கு முன்பு 'NFPE Secretary' 'NFPE' SPOs Thiru மாரியப்பன் அவர்களால் அவரின் ஒய்வுக்கு முதல் நாள் மாற்று சங்க உறுப்பினர்களுக்கு போடப்பட்ட தடாலடி உத்திரவு மாற்று சங்கத்தின் "வழக்கமான" குழிபறிப்பு வேலைகளால் இரத்து.